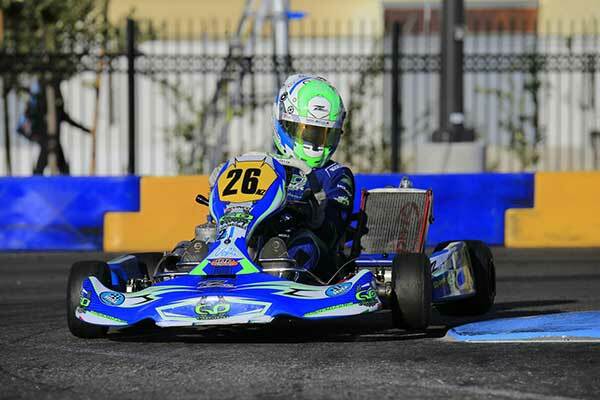 Matthew Hamilton was the top Kiwi finisher at the 21st SuperKarts USA (SKUSA) SuperNationals meeting in Las Vegas over the weekend, the Christchurch-based international claiming fourth overall in the premier US domestic S1 class. 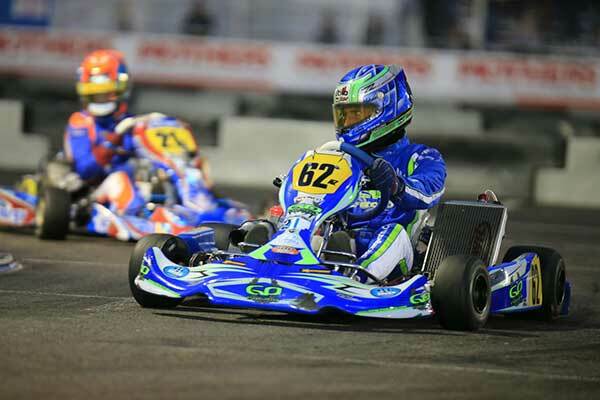 In his tenth start at what is widely regarded as the biggest annual kart race meeting in the world, fellow international Daniel Bray from Auckland was next best Kiwi finisher, crossing the line in seventh place in the premier international class, KZ. Bray was one of three Kiwi finishers in that class, with teammate Dylan Drysdale, also from Auckland ninth, and Madeline Stewart, from Wellington, 18th. Stewart and Melbourne-based sister Ashleigh were two of three females in this year’s nine-strong Kiwi squad. The other, expat Brit Tiffany Chittenden from Christchurch, emerged as the third best finisher of the group with eighth in the S4 class final. 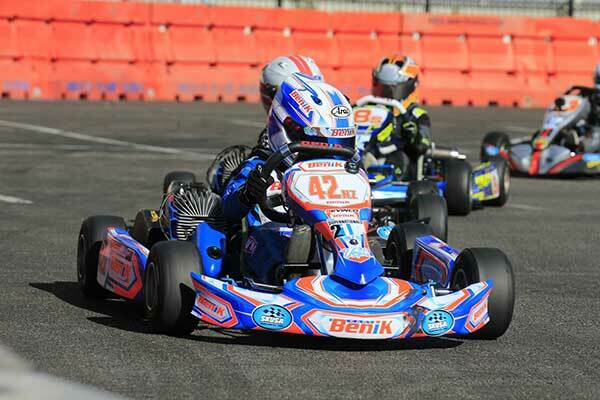 The other sibling in the Kiwi camp, Dylan Drysdale’s Sydney-based older brother Josh, finished 12th in S2. 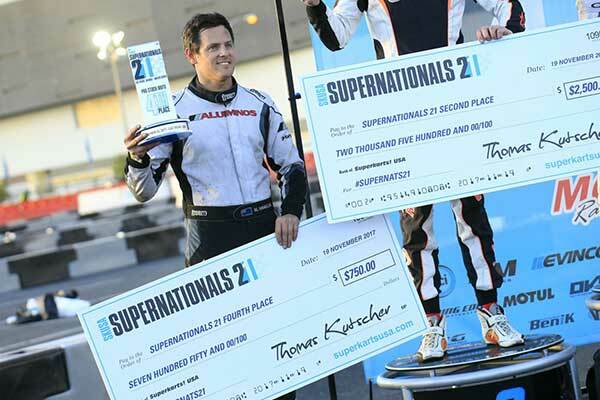 Ashleigh Stewart and the two Junior drivers in the Kiwi squad, Jacob Douglas from Christchurch, and Jay Urwin were less fortunate. Stewart improved her pace with each outing on her debut on a temporary street-style circuit in the oversubscribed (94 entrants) X30 class but after a dnf in her second heat failed to make the cut to get into the Final. Young gun Douglas was slowed by engine issues in qualifying and in the Mini Swift class heats but got to the Last Chance Qualifier (LCQ) race and finished 10th. Unfortunately for him only the first six got to advance to the Main Event. After qualifying 12th quickest, North Island Cadet ROK champion Jay Urwin from Tauranga did get to start his Micro Swift Main Event (Final) but came off second best in the scramble for positions on the first lap and his race was over on the third lap. 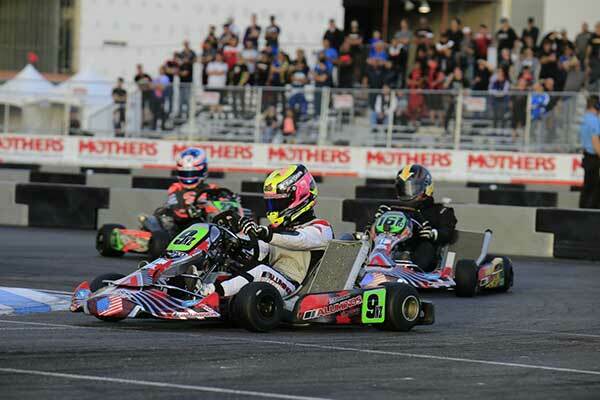 Dylan Drysdale’s performance was the squad’s best for a first-timer, the reigning New Zealand KZ2 class champion working his way from P21 on the grid at the start of the 20-lap KZ class Main Event to ninth. Madeline Stewart also impressed, working her way up the order from P32 to 18th, despite still feeling the after-effects on a heavy crash in one of her heat races on Friday night. “She got pushed into the barriers and the kart kind of got sucked in,” explained her father Tony. “The kart then ran along the barriers until they (the barrier) broke. She got hit in the head by a flying barrier and that really hurt her neck. She was not even sure she’d last the 20 lap final but managed to hold on. Despite that Madeline and sister Ashleigh are keen to return in 2018 as well. 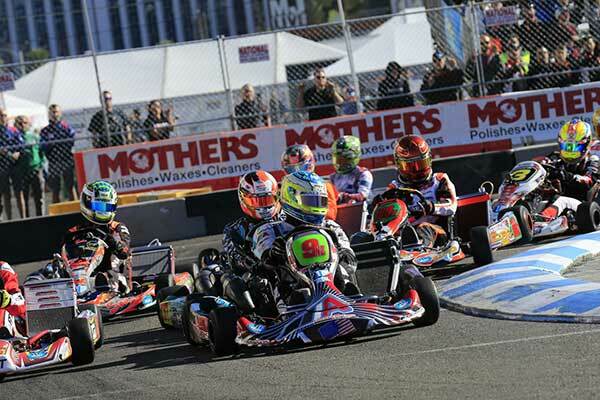 With over 500 entries over 10 classes the meeting is widely regarded as the biggest kart one in the world, and over the years has attracted the cream of American, European and increasingly Australasian karting talent. 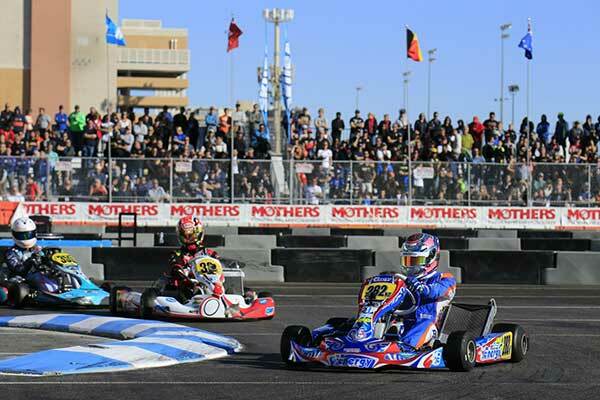 This year’s was no different with the KZ Main Event won by reigning and two-time World KZ Champion Tony De Conto, the S1 class by top US driver Billy Musgrave and the Iame X30 class by leading Australian karter Joshua Car.